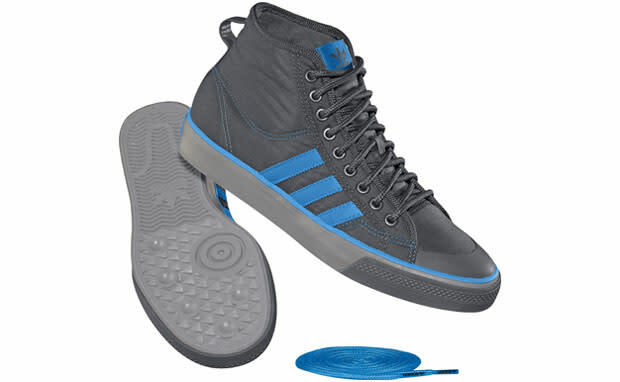 Kicks of the Day: adidas Originals Nizza Mid "Iron/Splash"
From the hardwood to the streets, adi Originals&apos; &apos;70s hoops go, the Nizza, gets repainted here with an enticing set of greys and blue. The mid-cut canvas offering features a predominantly iron-colored upper, accented nicely with hits of blue in the branding and trim as well as accompanying laces. Snag the Three Stripes rendition through Shop adidas for an easy $60.